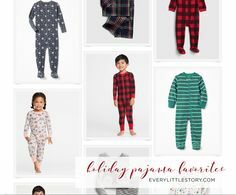 Home Favorites	Rewarding Moments with Carter’s and OshKosh! I love Carters and OshKosh. There clothes are so fun and they always fit my son perfectly. I never have to worry about them shrinking after a wash or fading. They’re my go-to! Oh I feel the same way, obviously 😉 They’re just such reliable brands!